From the outset, it is difficult to tell what Into the Odd actually is. Any other roleplaying game would give you a blurb or an explanation or a setting or some inspiration—or two, three, or all of these. Published by Lost Pages, its starting point is character generation followed by an explanation of the core rules. The former is done in two pages, whilst the later is done in one. So literally everything a player needs to know to get playing is done within three pages. All a player does is roll three six-sided dice for three Ability scores—Strength, Dexterity, and Willpower, a six-sided die for Hit Points, and three six-sided dice to determine a character’s Starter Package. This can be equipment, weapons, armour, weird powers, an appearance, or an Arcanum, the latter a magical and highly sought after device like Pain Sign, Heat Ray, or Phase Key. Rolling for type of Arcana is a separate roll. A character can rolled up in minutes. Mechanically, if a character wants to undertake an action, his player rolls a twenty-sided die against the appropriate Ability, aiming to equal to or under to pass. For initiative in combat is handled with a Dexterity save. Combat is equally as simple. A player rolls the die for the weapon used to determine how much might damage be inflicted. The target’s armour is subtracted from this and the remainder is subtracted from first his Hit Points and then his Strength. Should a character lose all of his Strength, he dies. It takes only a Short Rest to recover lost Hit Points, but a Long Rest lasting a week to recover lost Ability points. Saves against Willpower are used for several things, maintaining morale of course, but also in a pinch, maintaining civil discourse with others, and more interestingly, to manipulate the powers of Arcana. Each Arcanum does one specific thing and does it well. Binding Strands for example, creates strands spreading between two surfaces twenty feet apart. A Dexterity save is required to move through them. To use a Binding Strands Arcanum in this way is automatic, but if a character wants to do something different, for example, to tie up and gag a recent captive using Binding Strands, then a Willpower save is required. Arcana come in three types of increasing magnitude—‘Powers You Cannot Understand’, ‘Powers You Can Barely Control’, and ‘Powers You You Shouldn’t Control’. It is at this point that we begin to see what the point of Into the Odd is—to go on an Expedition, perhaps to explore a mysterious environment, to confront or escape a powerful threat, or to find ever more powerful Arcanum. The aim being at least to be successful, return to civilisation at least with a great story, if not an amazing artifact or a dangerous secret. By going on expeditions and surviving a character gains Experience Levels and thus more Hit Points, a reputation, and possibly increases to his Abilities. A character needs to survive an ever increasing number of expeditions as he rises in Levels. In between expeditions, a character might set up and run a business or establish a mercenary company. Quick and easy rules are provided for handling these, both of which can generate income for the character as well as create story and scenario ideas for the Game Master. All of which is covered in barely a third of Into the Odd and that also includes a good example of play. The other two thirds of the book are for the Game Master. The main rule for the Game Master is the Luck roll for when a degree of randomness is required. This is a roll of a six-sided die with higher results favouring the player characters. Beyond this there are discussions of monsters to be encountered, treasure to be found—including some new Arcana, and traps and obstacles to be overcome. What is interesting about traps and obstacles in Into the Odd is that unless a character is in a rush, then he will always spot them. This is because the challenge for the character is not spotting them, but overcoming or avoiding them. So for example, a pit trap is easy to spot and with a bit of effort and time, easy to work around without the danger of falling in, having got past the pit, the characters later have to return past in a hurry. Now their players need to make Dexterity saves in order to get past safely in a hurry. In terms of specific playing areas, Into the Odd provides three locations. These are the scum-encrusted fishing town of Hopesend Port, the Last Port of the North; a dungeon, The Iron Coral, which lies off the coast off Hopesend Port; and the hexcrawl, The Fallen Marsh, the soggy stretch of coast which lies between them. Now these are presented in the order of The Iron Coral, The Fallen Marsh, and Hopesend Port, which feels counter-intuitive if the trio is run as a campaign, with the player characters starting out from Hopesend and then travelling through The Fallen Marsh to The Iron Coral. That said, the inclusion of The Iron Coral first essentially means that it is good for getting straight into play as it can be run with very little preparation upon the part of the Game Master. All three locations pack a lot of content into as a few words as possible with short descriptions and concisely written details. The designer here impresses with the amount of flavour he brings to these locations with such an economy of words. Both The Iron Coral and The Fallen Marsh are supported by random encounter tables that will help drive the action, whilst Hopesend is supported by table of events. Overall though, the trio form an excellent introductory mini-setting. The ten or so pages are devoted to the ‘Oddpendium’, set of tables drawn from the designer’s website. They include tables for name generation, occupations, abilities, manner, connections, and important little life events, all for quick NPC generation. Others create the feel and atmosphere of a city street, its sample businesses, links to the Underworld that runs under Bastion, and more. Perhaps the pair of tables that get across the nature of the city the best are the ‘Insane Council Decisions’ and ‘General Public Reaction’ to them tables, which give a sense of governmental chaos, of desperate powers-that-be, and of mob rule. Physically, Into the Odd is cleanly laid and in general, well written. The art is a good mix of new and public domain, serving to suggest both the weirdness and the banality of Bastion and its surrounds. The content could have been better organised, primarily to reorder the the three scenarios/locations in the book and if there was a second edition, perhaps a guide as to where to start and what to do next would be useful for player and Game Master alike. (In fact, a boxed set for the Into the Odd would be great.) Another issue is that an index would have been useful for finding particular elements of the book, although the book is short enough that it is not too much of a problem. 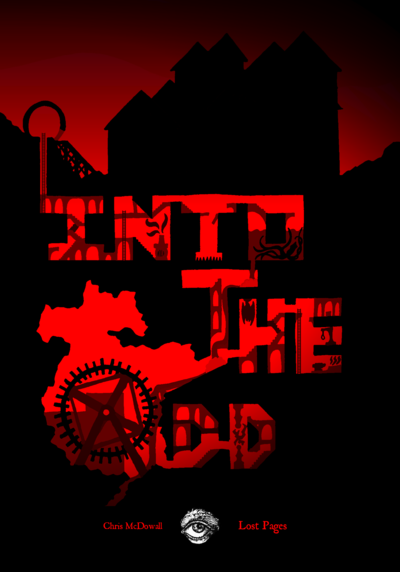 Into the Odd is quick and easy to play, players able to create characters in minutes and be ready to play. A little extra effort is required by the Game Master, but again she could read through the rule book in about half an hour and be ready to run The Iron Coral straight out of the book. Both the rules and the setting of Bastion are very light and very much open to interpretation by both players and the Game Master. This gives both a lot of freedom in deciding how elements of the setting and the rules work, and the Game Master a lot of freedom in building the elements of her Bastion. The tables of the ‘Oddpendium’ help in this, whether in preparing before a game session or during a game session. How much play can be got out of Into the Odd is another matter. Certainly, the trio of the town, the hexcrawl, and the dungeon provide material for several sessions’ worth of play. Likewise, the tables will provide details and elements that a Game Master happy to improvise can develop into something more, but that will only go so far. Certainly support in terms of encounters and adventures which can be run with little preparation would be welcome, since that is the type of play that Into the Odd is designed to engender. Mechanically though, Into the Odd is not necessarily a forgiving system. Combat in particular, is deadly as every attack succeeds and what matters is the amount of damage rolled. So hirelings or playing with multiple characters might be an option if a group wants to avoid a total party kill. In this, Into the Odd may initially have the feel of a Character Funnel as in Goodman Games’ Dungeon Crawl Classics Roleplaying Game and Mutant Crawl Classics Roleplaying Game, with its set-up of multiple Zero Level characters per player. The simplicity of Into the Odd will attract some groups and put off others, the issue being it not being really suitable for the Game Master who prefers to prepare her game rather than improvise in play. Yet this element of improvisation which provides ready scope for interpretation and judgement by the Game Master along with the unforgiving, often deadly, rules echo the play style of the Old School Renaissance. A brilliant combination of concision and flavour, Into the Odd is impressively easy to pick up and play with minimum preparation.